We love the concept of Thanksgiving . . . intentionally setting aside a time for family and friends to gather and focus on what we are grateful for. It also kicks off the holiday season when we begin our traditional personalized gift tag and ribbon offer . . . our gift to you. We have some great gift ideas, including brand new items, for the tangler in your life or for your own wish list. We've put together three new products that are both great as they are and which also offer fantastic surfaces to tangle and really make it your own one-of-a-kind piece. This metal bottle's smooth white glossy surface is a perfect match for a Sakura� IDentiPen™. The lines are crisp and clean. Molly tangled this sample you see here. It has been washed several times already. Includes screw top and carabiner. 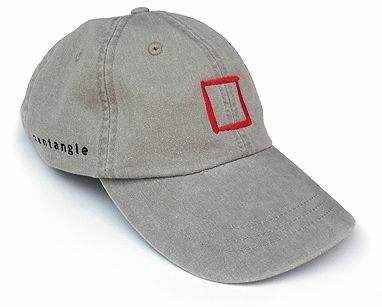 High quality, adjustable, stone colored, baseball style cap with embroidered logo on front and "Zentangle" on right side. Looks great as it is or you can cover it with tangles. 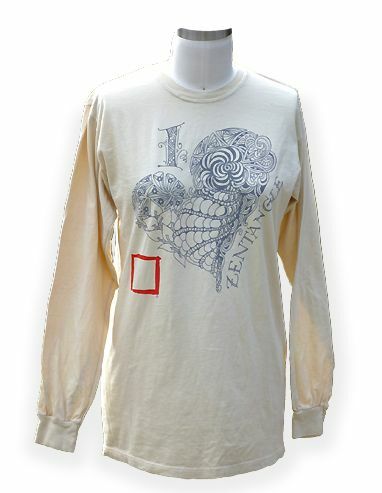 Off white, natural cotton long sleeve tee. 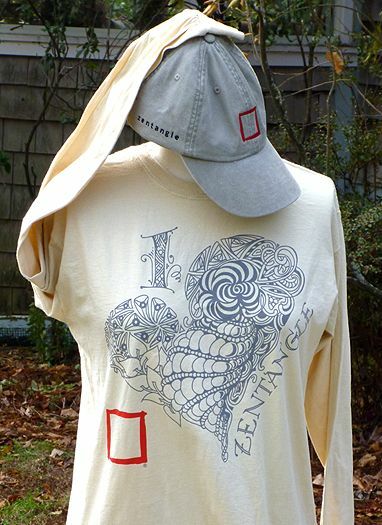 Image is silk screened across front of the shirt. By the way, our hat and t-shirt go great together! If you choose to tangle the hat, we recommend the IDentiPen for tangling and the Fabrico™ marker for strings and shading. If you wish to introduce the Zentangle method to someone, we suggest giving them a Zentangle Kit . . .
. . . and our book, The Book of Zentangle. In this, our first book, we tell our story and describe our inspirations and ideas behind Zentangle. We show many beautiful examples of Zentangle inspired art and offer suggestions about how you can proceed in your Zentangle practice. You can read more information and purchase it here. Using our Zentangle Kit and reading "The Book of Zentangle" will enable a deeper understanding and experience of the Zentangle Method, even if you have been tangling for a while. Our Zentangle Kit and The Book of Zentangle are available from our online store and from our Certified Zentangle Teachers (CZT). 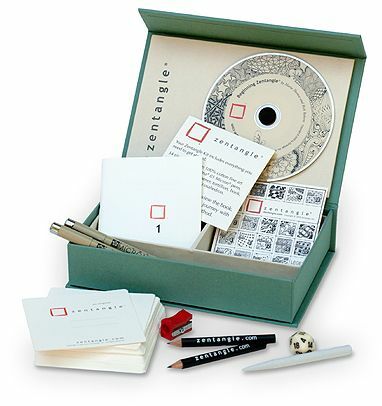 We invite you to browse our store for other gift ideas such as our Zendala Sets and additional tiles and pens. Most importantly, we invite you to treat yourself or another to a class with a CZT. 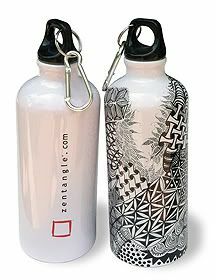 You can find a list of our Certified Zentangle Teachers here. Our best wishes to you and your family at this Thanksgiving time and throughout these coming holidays.